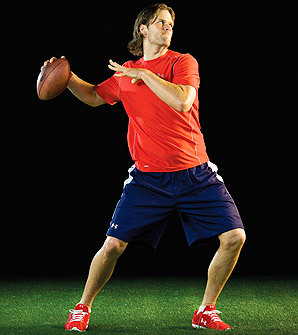 New England Patriots Tom Brady starts a multi-year endorsement deal with Under Armour. The star athlete will receive training gear (apparel; footwear) and customized cleats for future games. And, Brady will be paid in UA stocks. WORK! Under Armour's PR statement via CEO and founder Kevin Plank: "Tom Brady represents a lot of what Under Armour is all about...... He's humble and hungry and continues to be focused on winning and getting better every single day."